Kaplan draws on a trove of unpublished archival material to trace Adams's evolution from his childhood during the Revolutionary War to his brilliant years as Secretary of State to his time in the White House and beyond. He examines Adams's myriad sides: the public and private man, the statesman and writer, the wise thinker and passionate advocate, the leading abolitionist and fervent federalist who believed strongly in both individual liberty and the government's role as an engine of progress and prosperity. In these ways—and in his energy, empathy, sharp intellect, and powerful gift with words both spoken and written—he was a predecessor of Lincoln and, later, FDR and Obama. 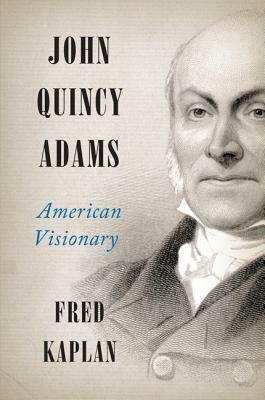 Indeed, this sweeping biography makes clear how Adams's forward-thinking values, his definition of leadership, and his vision for the nation's future is as much about twenty-first century America as it is about Adams's own time. Meticulously researched and masterfully written, John Quincy Adams paints a rich portrait of this brilliant leader and his significance to the nation and our own lives. Fred Kaplan is Distinguished Professor Emeritus of English at Queens College and the Graduate Center of the City University of New York. He is the author of Lincoln: The Biography of a Writer, which was named a Best Book of the Year by the New York Times and Washington Post, among other publications. His biography of Thomas Carlyle was a finalist for the National Book Critics Circle Award and the Pulitzer Prize. He lives in Maine.